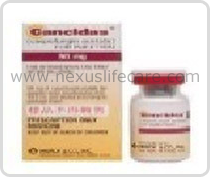 Uses:- Caspofungin Injnection is used to treat a variety of serious fungal infections. It is often used in patients who cannot use or do not respond to other antifungal medications (e.g., amphotericin B Itraconazole). Caspofungin Injnection belongs to a class of drugs known as echinocandins. It works by stopping the growth of fungus. Side Effects:- Boating or swelling of the face ,arms, hands, lower legs, or feet, blue lips, fingernails or skin, blurred vision, confusion, cough, dry mouth, fever, headache.